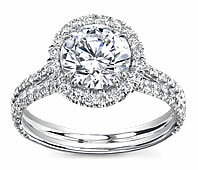 This meticulously handcrafted engagement setting is from the Diane`s Tiara Collection. 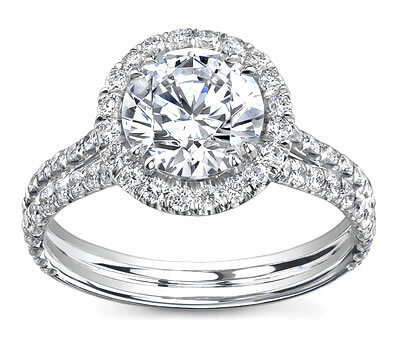 The large center diamond is surrounded by a halo of brilliant round cut diamonds. A striking split-shank design features 84 brilliant cut round pave set diamonds which gives this ring an enchanting look.